Do you know what happens to your digital life after you die? Are you aware of what digital assets you have? Do you have a Digital Will and a Digital Executor? The ways in which we communicate, live, die and grieve have all changed with the digital world. Social media, photos, emails, blogs, online assets are all a part of our Digital Identity and can be difficult to access and manage once you have died. In this 4 hour workshop, we will explore the digital world and I will break it down into easy to understand concepts so that you can confidently create a Digital Will and know that your online assets and identity will be protected. What would you like your Digital legacy to be? The ways in which we communicate, live, die and grieve have all changed with the digital world. Social media, photos, emails, blogs, online assets are all a part of our Digital Identity and can be difficult to access and manage once you have died. There are ways to protect your information and enable others to easily access it, to ensure it is not lost forever. During this 4 hour workshop, we will explore the digital world and I will break it down into easy to understand concepts so that you can confidently create a Digital Will and know that your online assets and identity will be protected. You will discover how to prepare for death digitally so you know you are protected. Find out how to identify what Digital assets you have so you can manage them. Learn what happens to digital accounts when you die and how to close them. Explore the benefits of passwords and password protection. 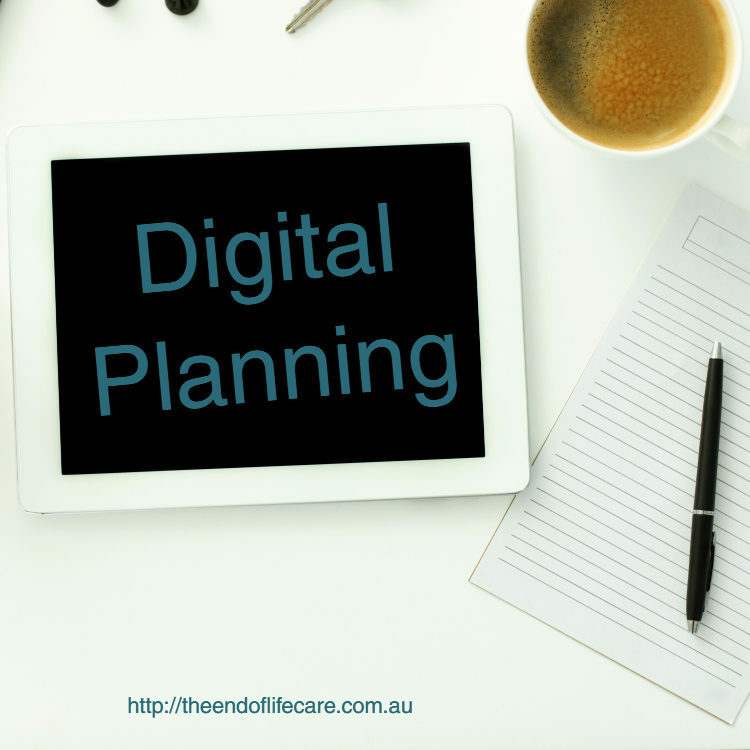 Be introduced to the concept of a Digital Will and Digital Executor and explain the benefits giving you the confidence to create one. Learn what Digital Legacy is and how you can create digital memories and messages to leave for loved ones. Discover what online services are available to store and manage your digital assets. You will leave feeling confident and able to implement all you have learned. There is a sliding scale of payment for this workshop.